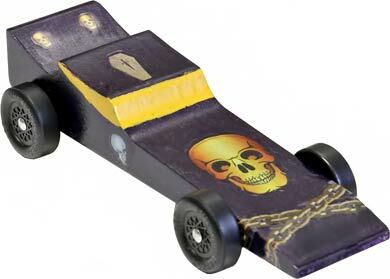 Our Vampire pre-cut blocks make building your Pinewood Derby car as easy as ABC! Don't forget to add weights to your car to bring it up to the 5 oz limit. Add most of the weight behind the rear axle. The car should balance about an inch in front of the rear axle when completed.